Lighting plays a major role in transforming the look of a space. It not only enhances the look and feel of a space but also adds to the ambiance of the living space. A variety of light fittings are used for creating several lighting schemes and effects that match the requirement of a particular place. 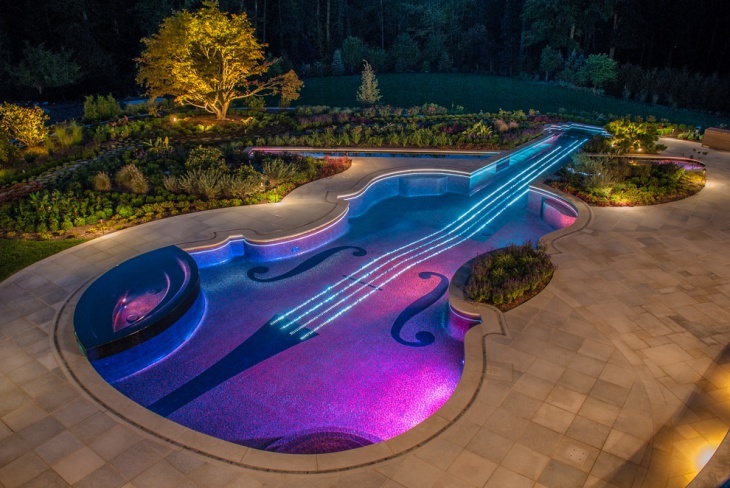 Ranging from kitchen lighting to bedroom lighting and even garden lighting, there are several thousand tons of lighting designs available to choose from. 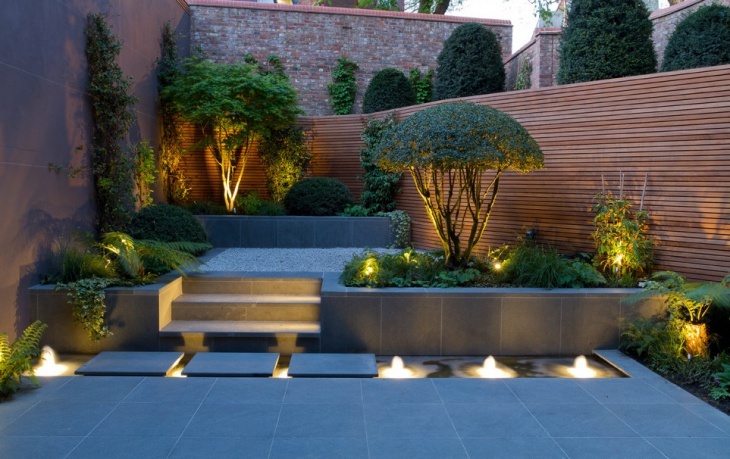 Garden lighting has to be very unique and something interesting as it is to be used outdoors and at large. 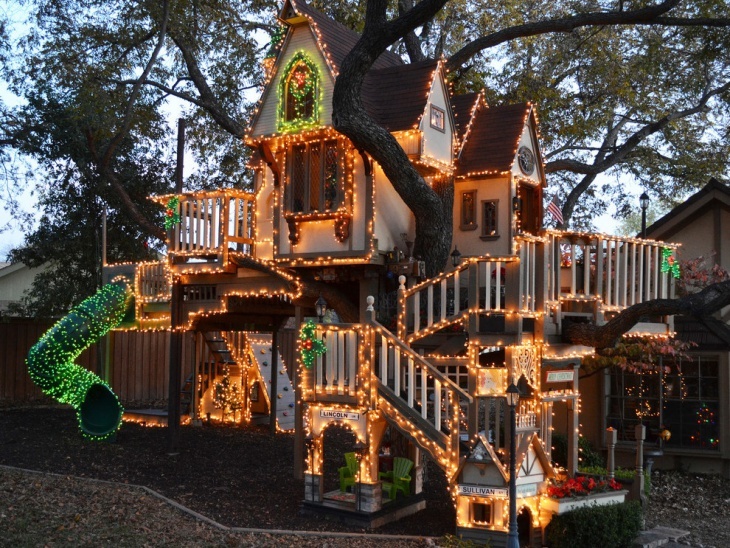 You can set up LED lights in the stairway of your garden so that it glows beautifully at nights. 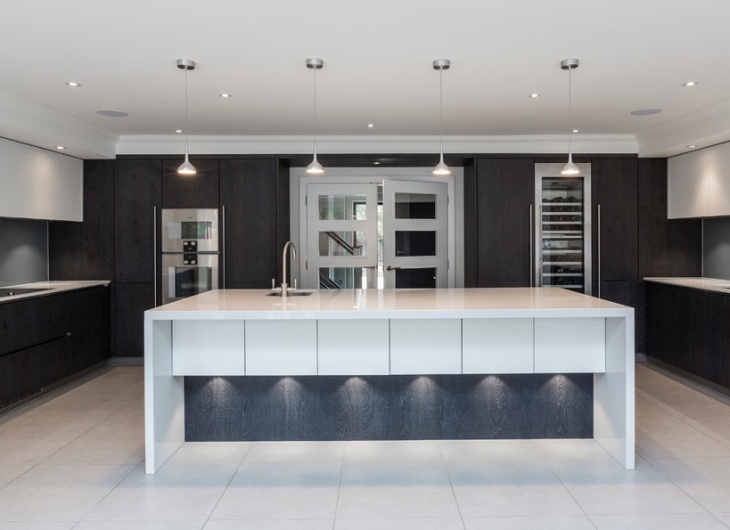 While choosing lighting design for kitchen, be very choosy as the effect of light on a space like a kitchen should be subtle and not too bright. 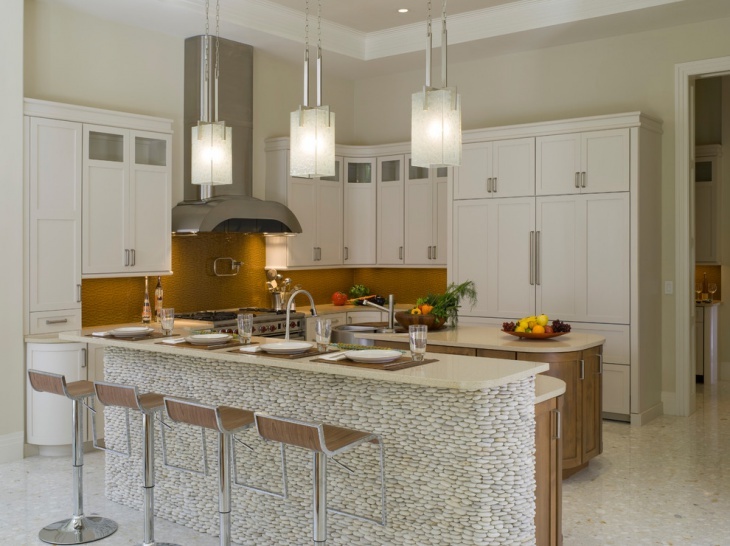 You could make use of pendant lights with a dullish yellow hue. 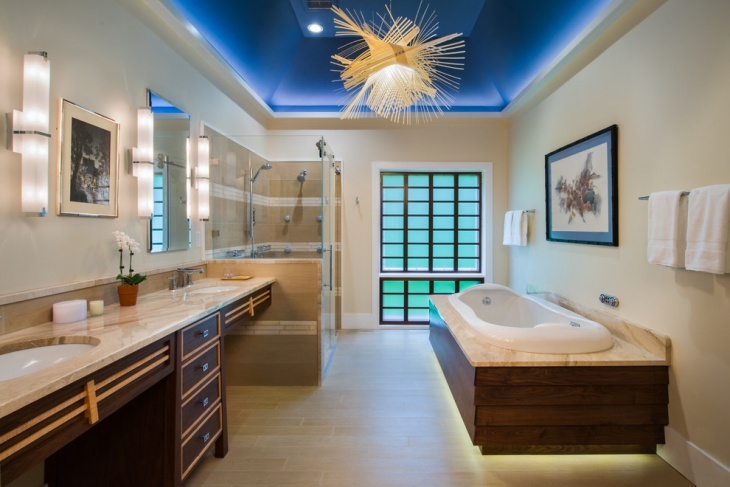 For the bathroom, ceiling LED lights work best! 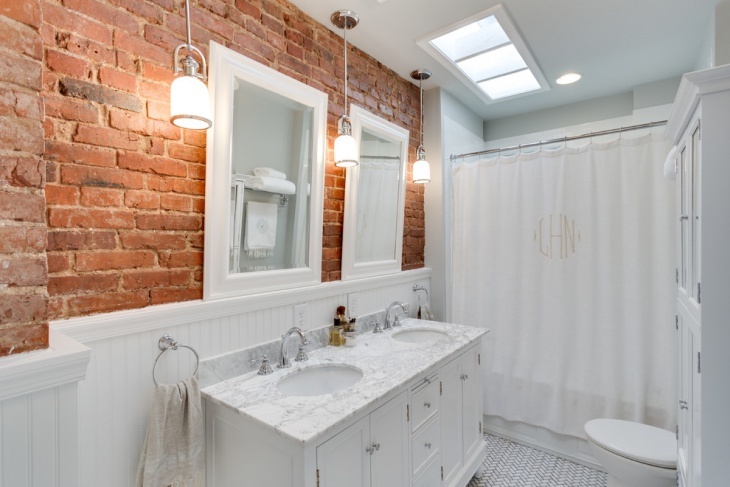 You could also use lanterns or antique finish lighting for the bathroom space, especially if you have an earthy color scheme with rustic décor. 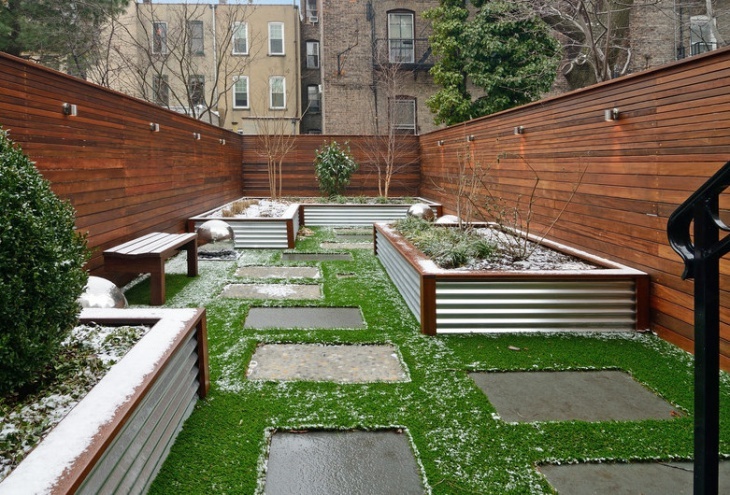 A landscape should primarily have sober lighting effects as the main highlight of landscapes is nature and greenery. 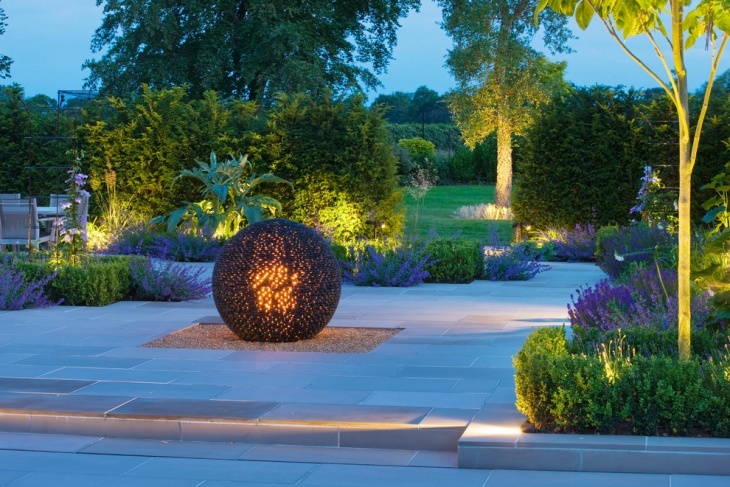 Choose lights which enhance the natural beauty of the landscape. 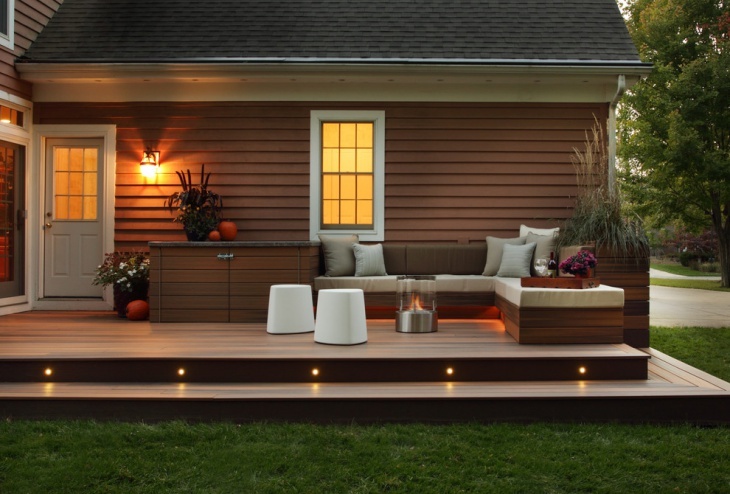 Outdoor lighting has to be a little more intense, bright and bold compared to the indoors. 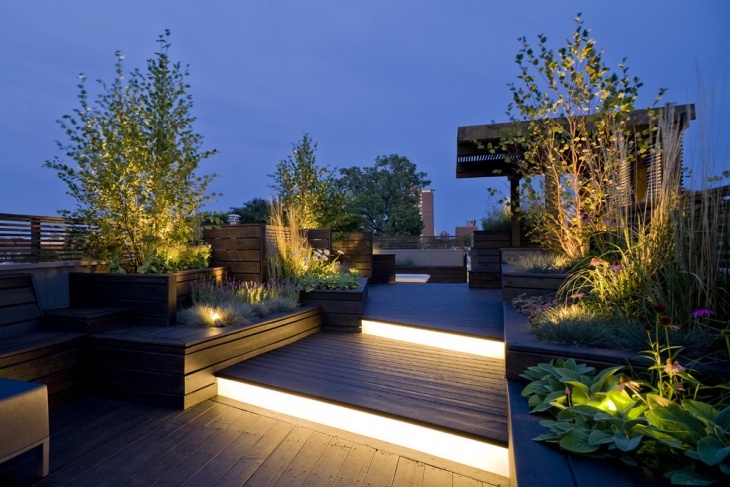 Whether it is your patio or balcony or even a backyard, lighting designs should be interesting and eye-catchy. During the festive decorations, you can make use of hanging balls, LED floating lights, lanterns, etc. 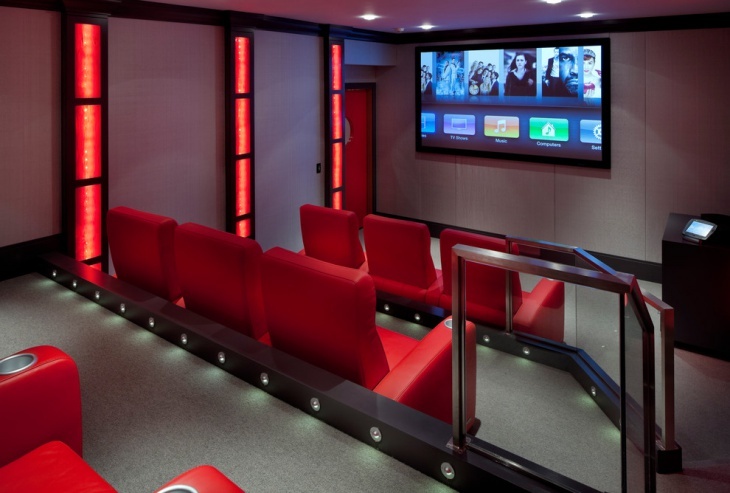 A home theater is the entertainment hub of a house and the lighting has to be chosen suitably. You could make use of a variety of lights such as the popular color changing LED light strip somewhere around the room, as it will add drama to the space. 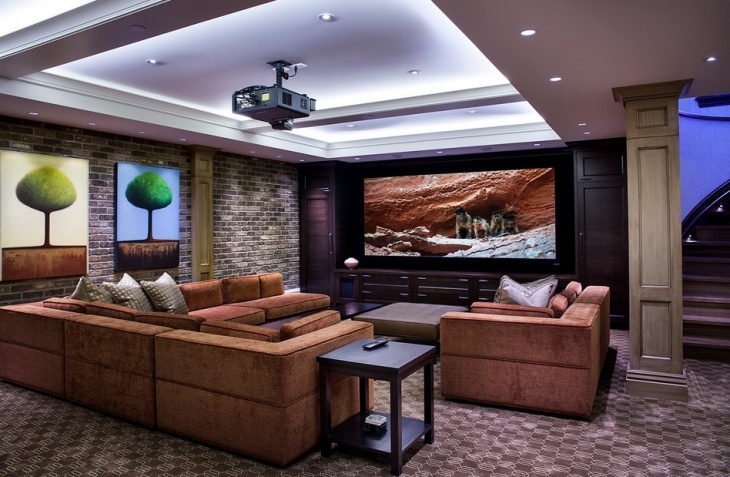 We all know basements are dull, dark and gloomy so it is vital that you choose the appropriate lighting design. 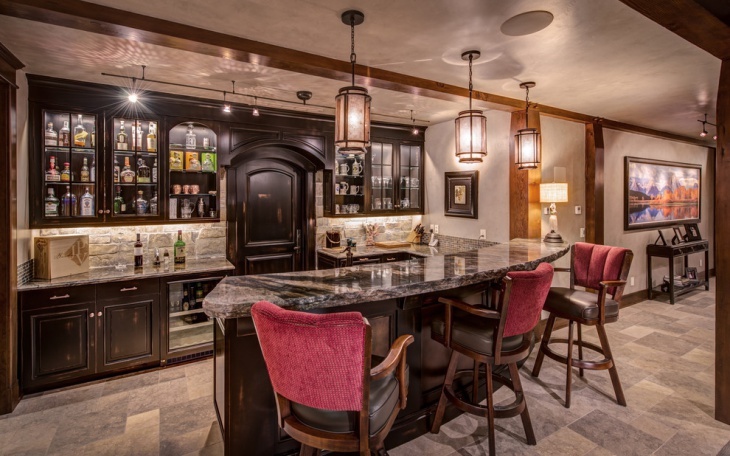 Important design elements for basement lighting include ambient, task, recessed and accent. Natural glow emitting LED lights fixed in the ceiling alongside lantern lights or chandelier lights are preferred in a living room. While chandelier lighting or pendant lights can be turned on during the night, LED lights provide a natural look during the day. 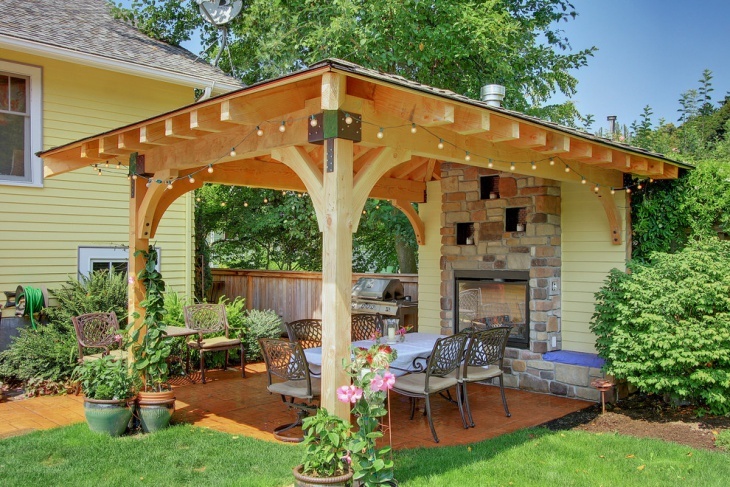 Patios are perfect places for partying and even chilling around with family and friends. 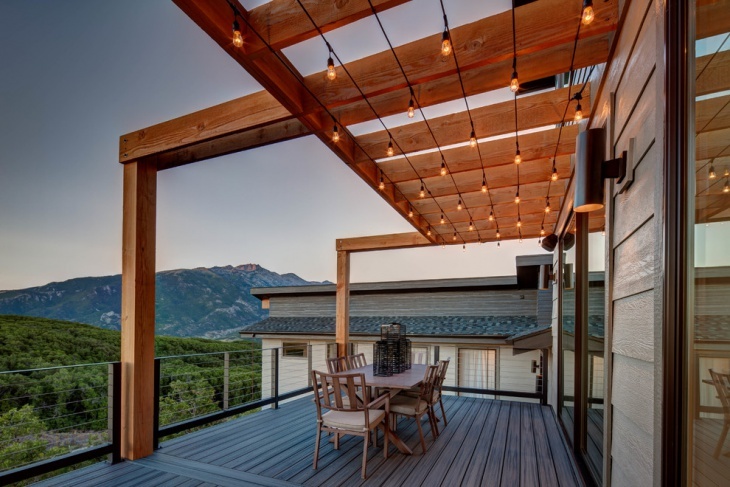 String lights are an awesome lighting option in your patio as it offers a zing bling effect to your space. And more especially when it is decorated with during night, it adds an extra appeal to the space. 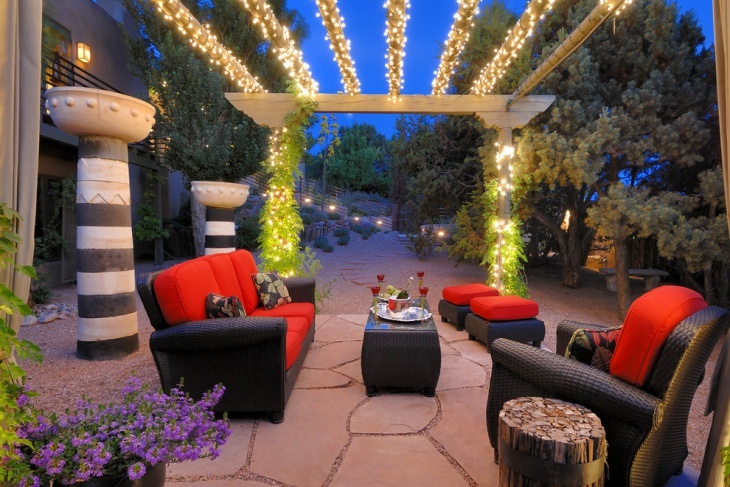 Decorate your patio with a hint of bling lights for enhancing the party spirit. 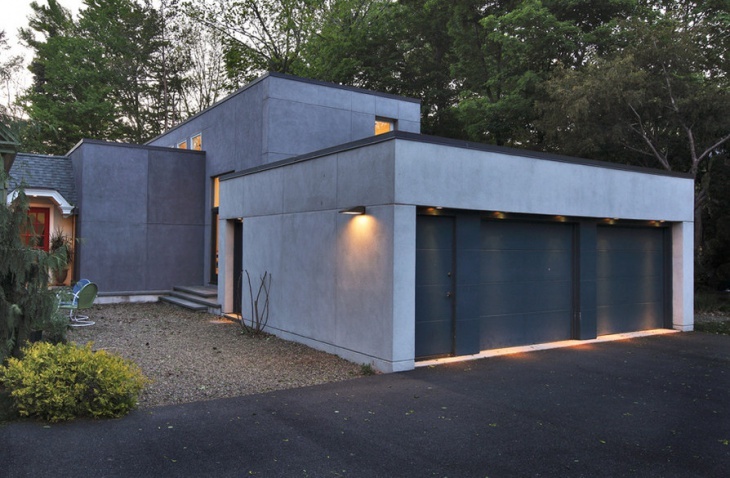 Garages are dark and gloomy spaces and for them appropriate lighting is essential. 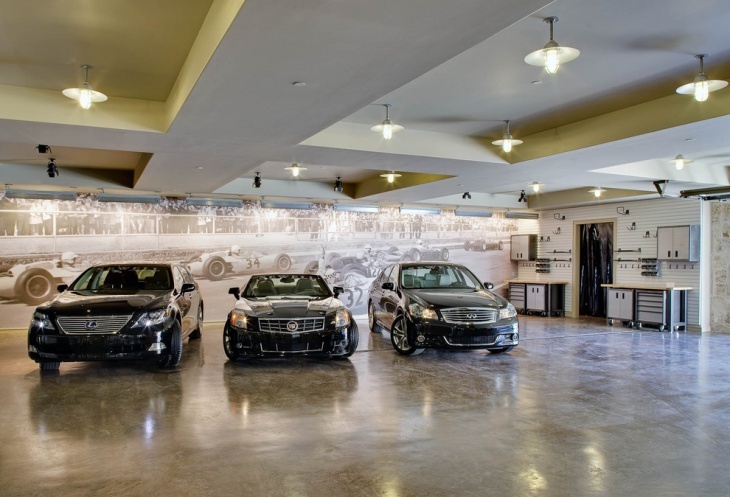 For a garage, it is preferable to use lights that are large and emit bright effects since the activities under a garage require a very well functioning lighting. Consider LED lights or maybe even fluorescent lights for your garage. 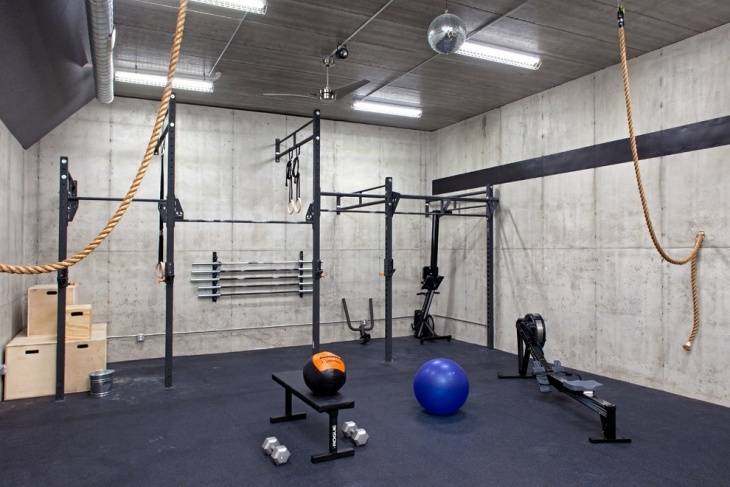 A gym is a place where you work out and you sweat it out so obviously it has to be clean, airy and light. 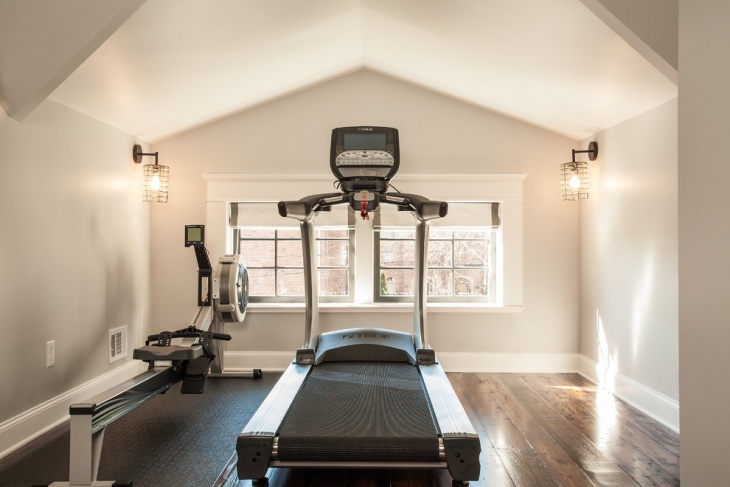 Choose a lighting effect that makes the gym vibrant, energetic and full of zeal. 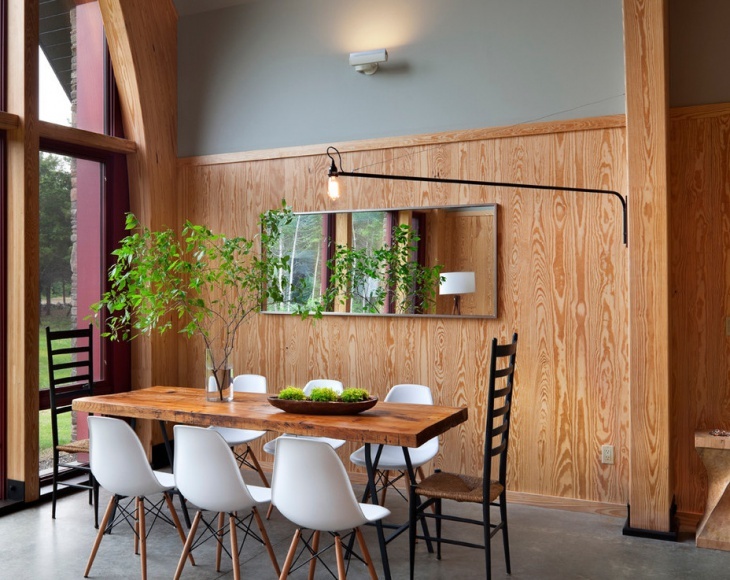 Consider innovative lighting and what can be better than natural lighting? 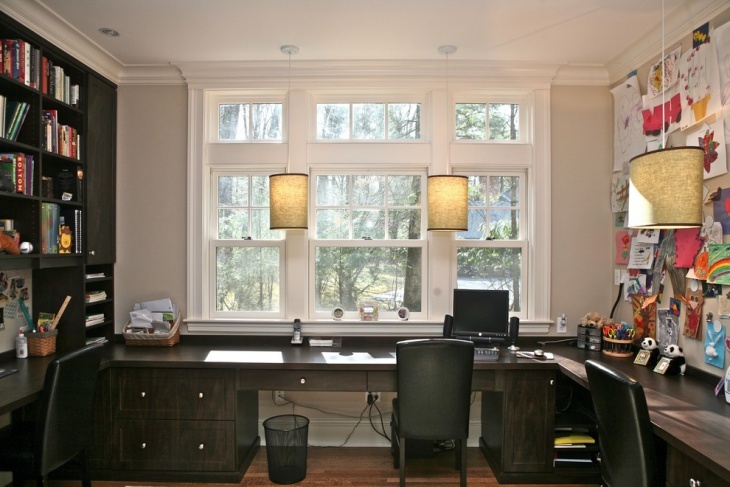 Natural lighting allows a more energizing effect in the space than artificial lighting. When it comes to the roof or ceiling, LED lights are the most popularly used ones. 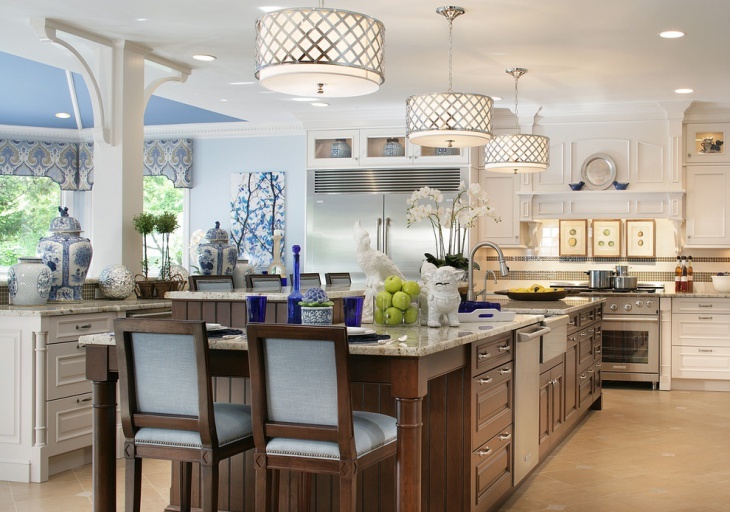 However, people also like to incorporate chandelier lights and even pendant lights for a different look. Recessed ceiling lights are also a great option for your living space. 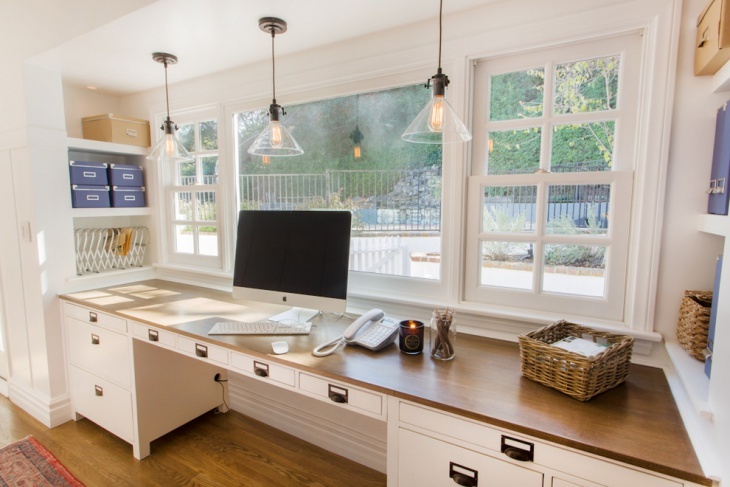 A home office is the place where you wish to work in peace and thus appropriate lighting here plays a major role. Ambient lighting is preferred with ceiling high fixtures that add a comfortable feel to the working space. 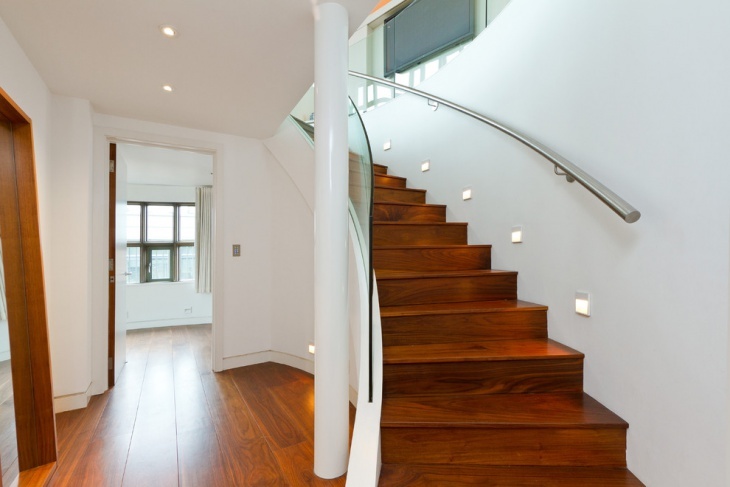 Staircase lighting is essential as it provides safety and security to the stairway. 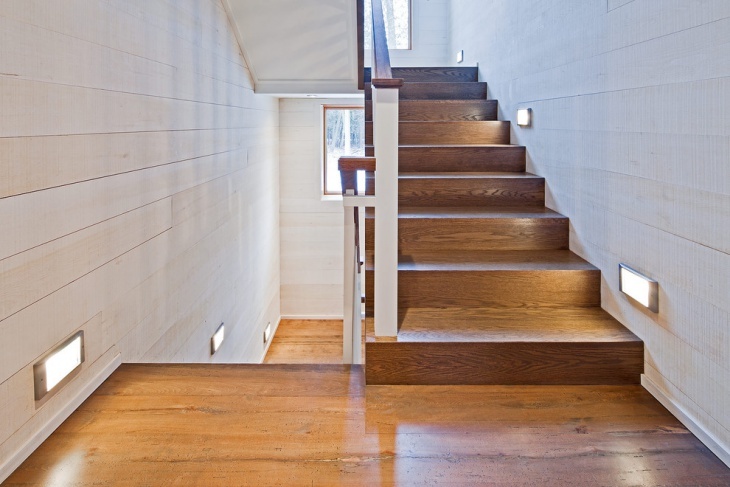 Also, adding staircase lighting is a nice way to make it look pretty and keep your stairway glowing. A bedroom is the place for a good and peaceful night’s sleep, thus the lighting needs to be bright so that the mornings don’t become lazy and sleepy. 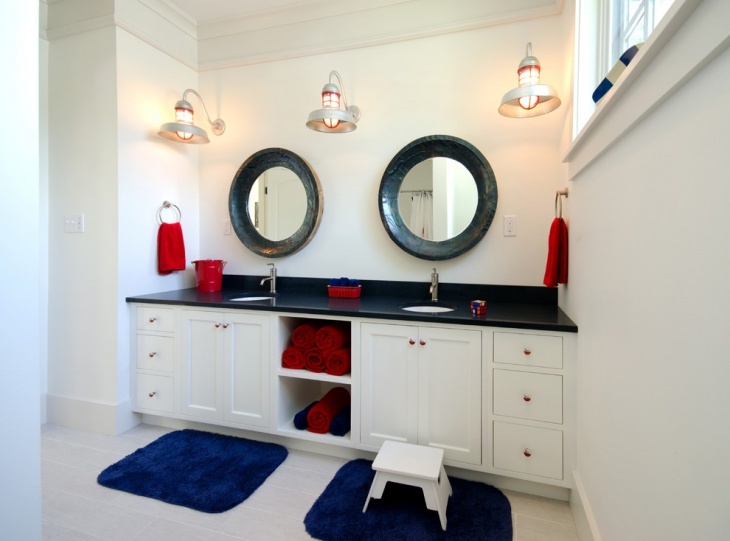 Two types of lights should be incorporated including dimmers as well as bright lights. Dimmers should create the mood for sleep whereas bright lights to wake you up in mornings. 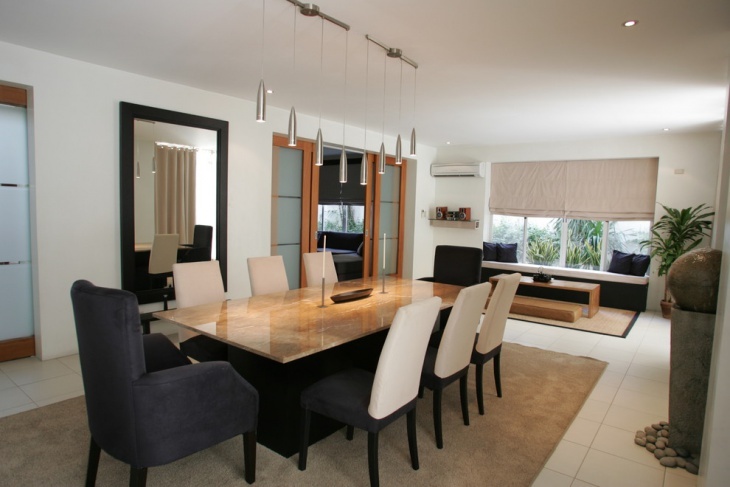 Dining rooms are meant for family conversations and retreats and thus in a dining area should have the best mood lighting. Chandeliers are a common choice in dining spaces apart from pendant lights, ceiling LED lights and the like. Modern lighting designs include a wide array of lights such as pendants, wall sconces, floor lamps, chandeliers, LED strip lights, lanterns and so on. 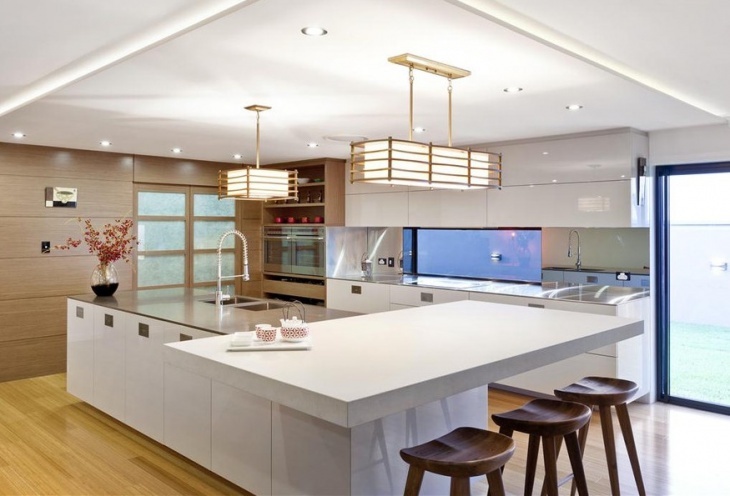 Modern lighting may be used in contemporary homes and even luxury homes for a fine finish. 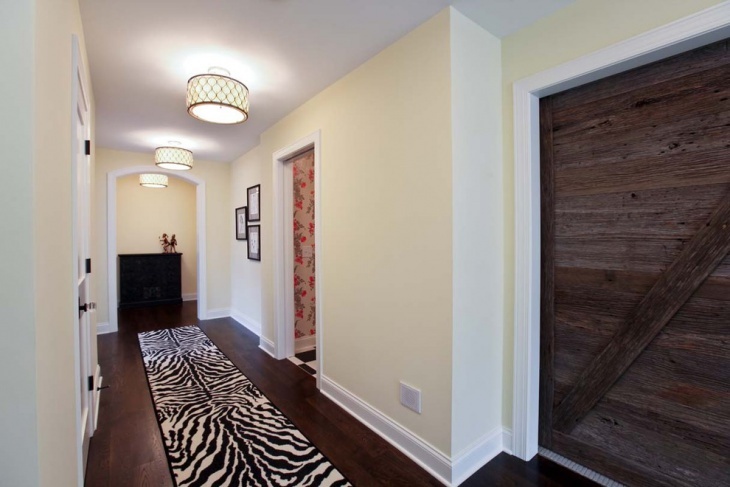 Hallway lighting should include pendulum light fixtures and a lot of natural light options. A hallway should have no dark space and must have an ample amount of natural lighting to keep the space crisp and fresh. 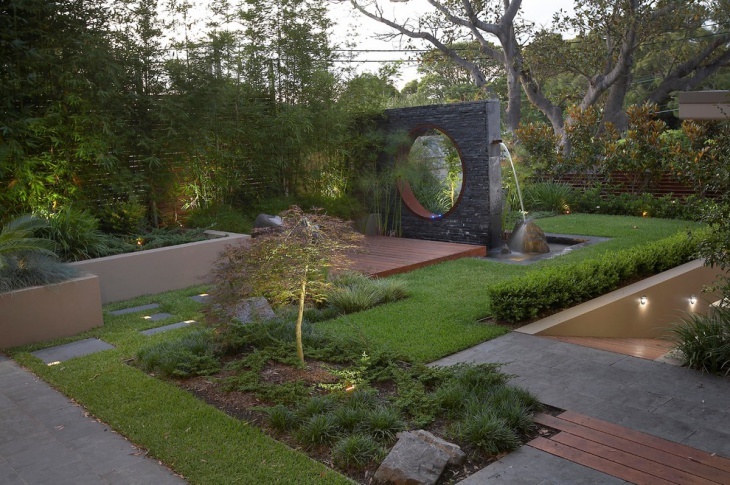 You can illuminate your backyard through the use of LED lighting which can be done for the purpose of marking the garden backyard. You could also do some DIY electrical lighting and wiring and make use of LED strip lights for decoration. Lighting designs are available in a myriad of varieties, choosing one that suits your space can be tricky. We have collected for you several ideas on what kind of lighting design is suitable to a particular space. We hope you draw inspiration from one or all of the above design ideas. 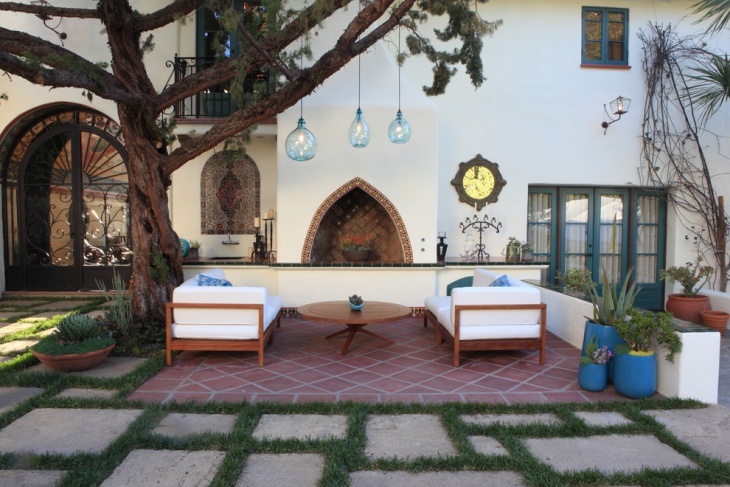 Lighting is an integral part of décor in any space, be it indoor or outdoor. 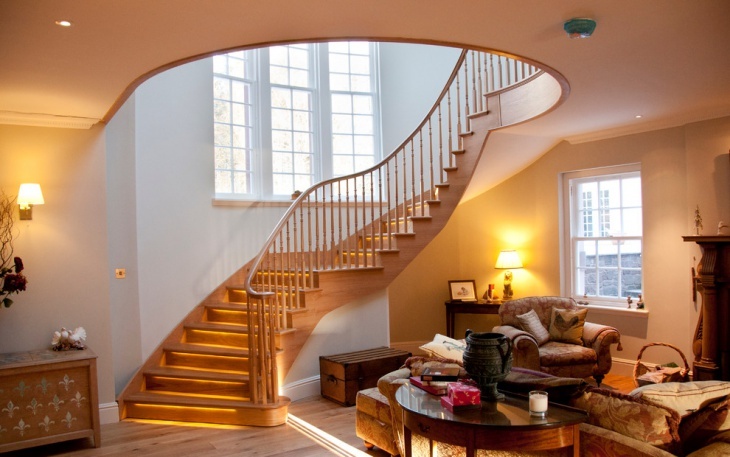 A fine lighting can take the space from looking drab to fab! Thus, choosing the right lighting that can impact the ambiance, flow, look and feel of a space is vital. 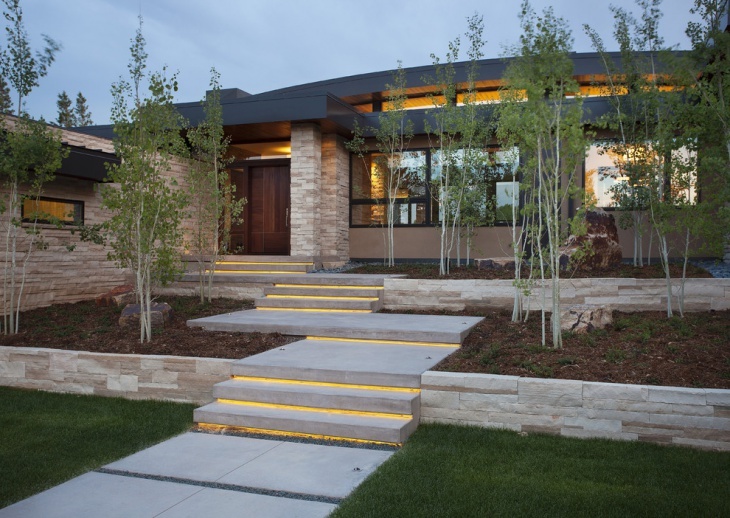 Proper lighting also facilitates safety and security of a space. Moreover, lights can enhance the moods and can have a lasting impact on people. 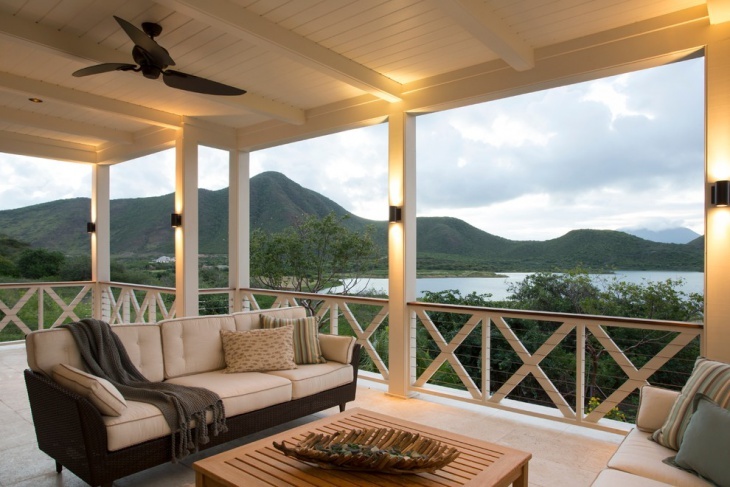 Choose lighting that sets the mood and can further enhance it. Use light fixtures that match with the décor of your space. When lightening up dark spaces, make use of bright lights that can make the space glow instantly. Make use of dimmer lights for a duller and more composed look.